It's the largest one-day reading festival in Florida—and I get to go! I'm doing a Q&A at 11:30 a.m. in the A1 Tent and have a signing after. Check out this list of attending authors (including my pals, Patti Callahan Henry and Carla Neggers!). It's another day of mystery and suspense! Come say hi to me and my BFF, brilliant author Laura Benedict. Tickets are $40 (including a catered lunch). Here's where you can get them. Murder in the Magic City is a conference for mystery fans of all stripes. If you're in the Birmingham area, come out to see some fabulous authors (including my bestie, Laura Benedict!). Tickets are $40, and you can get them here. One of my favorite conferences in the whole world is Bouchercon—and I'm going this year! Click here to learn where you can find me. Attend one of my signings, ask me a question, and get a signed book—right from your couch! Click here for details. This Colorado girl can't wait to be back in her old stomping grounds. I'll be chatting with my pal, fellow thriller writer Chris Goff, and signing LIE TO ME. Come say hi, Denver peeps! For years, I've admired Seattle Mystery Bookshop from afar. I'm thrilled to make my signing debut! I'm so pumped I get to go to the Book Passage Mystery Writers Conference this year! Click here for more details. This is a ticketed event: click here for details. Join me at my hometown store as we welcome LIE TO ME into the world! Look out, librarians, here I come! Details TBD. I'm so honored to emcee Author! Author! 2017, a benefit for the Adult Learning Center of Williamson County. This group does amazing work to champion adult literacy throughout Middle Tennessee. 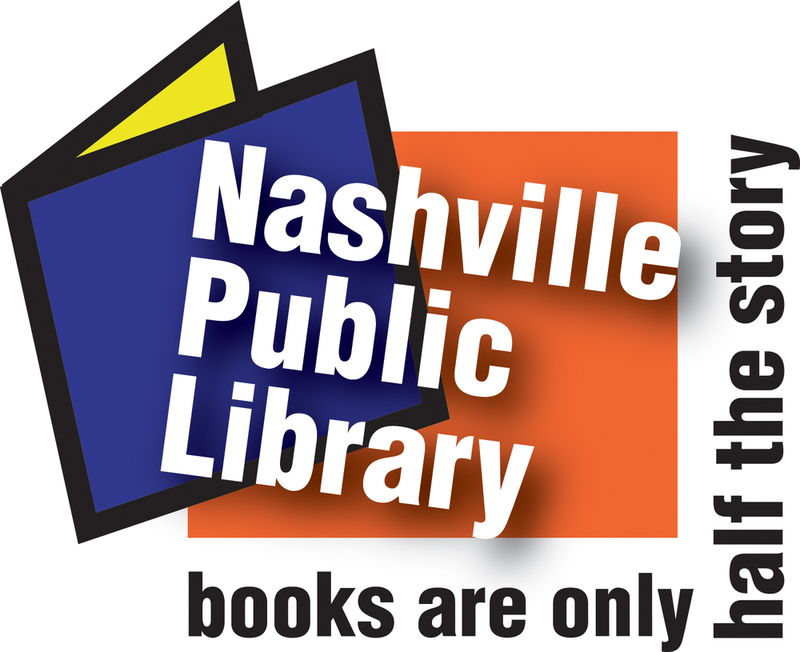 This year's event features Nashville authors Dana Chamblee Carpenter, Kelly Oliver, and Michael J. Tucker. Need a ticket? Get one here. I'm going to BookExpo (formerly known as BEA)! Details TBD. I am honored to be the guest speaker at the Friends of the Williamson County Public Library December Annual Meeting! The Friends do such important community work in Middle Tennessee, and I'd love to see you support them at their annual meeting. I'm delighted to join the lovely Anne Bogel of the fabulous online literary destination, Modern Mrs. Darcy, for an online book club chat! We'll be talking about reading (and writing!) psychological thrillers. So if you've read NO ONE KNOWS, now's your chance for us to chat about it. I'll let you know login details closer to the event. This is gonna be FUN, y'all! Join me at the Kentucky Book Fair! More details to come, but mark your calendars, Kentuckians (and Ohioans...and maybe Virginians? West Virginians? You're all welcome!). I'm going to Bouchercon!!!!! Mark. Your. Calendars. You can catch me at the Another Tricky Day panel on Thursday, September 15, at 9:00 a.m. in Mardis Gras D. I'll be talking with Scott Alderberg, John Billheimer, Sharan Newman, Wallace Stroby, and Peter Swanson about the problems all authors face. I'm thrilled to be signing books at Tattered Cover (Aspen Grove) on August 11! Stop by, say hi, and get a copy of FIELD OF GRAVES signed between 7–8 pm MT. Denver-area chickens: I'll be signing FIELD OF GRAVES at the Barnes & Noble in Lone Tree! It'll be Father's Day, so bring your dad out to the bookstore and get him something! True to the spirit of the day, my dad will be there, too. Join me and NYT bestselling author Heather Gudenkauf as we chat and sign books at The Poisoned Pen! Join me and NYT bestselling author Heather Graham as we chat and sign books at Murder by the Book! I'm super pumped my awesome indie, Parnassus Books, is hosting a signing for me and my pal, Heather Graham, at the Green Hills Library! Heather's going to be signing her book, HAUNTED DESTINY, and I'll be signing FIELD OF GRAVES (one day early, Nashville folks!). Wanna snag a signed copy of FIELD OF GRAVES a full month before everyone else? Come visit me at BEA! I'll be signing my Taylor Jackson prequel (and any other books you might sneak in the doors...) Here's where you can find me. All times are CST. Thursday, May 12, at 10:30 a.m.
Thursday, May 12, 3:30 – 5:30 p.m.
Friday, May 13, 10:30 a.m. – 12:00 p.m.
One of my favorite events every year! I'll be at SOKY Book Fest on Saturday, April 23, signing books with a bunch of my author friends. Come by and say hi—I'd love to see you! Catch me on Second Sunday Crime as I chat with host Libby Hellmann about my new thriller, NO ONE KNOWS. Click here to listen on Sunday, March 27, at 6:00 pm CST. I'm coming back to FoxTale Book Shoppe, and this time I'm bringing a friend! On March 22 at 1 pm EST, join me and my friend, Ariel Lawhon, author of the incredible new novel FLIGHT OF DREAMS, as we chat and sign books at one of our favorite indie stores.